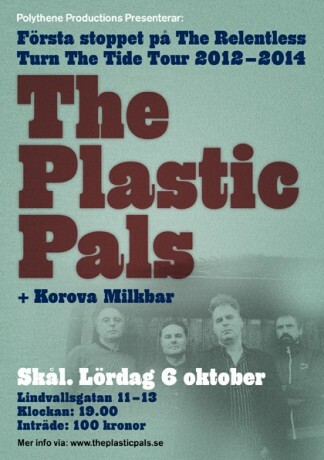 We do… we do… And this Saturday we´re doing a double bill with the awesome reunited Korova Milkbar at the same crime scene as when Chris Cacavas was here in Stockholm in January: Skål. Anders and Hawk, guitar slingers in The Plastic Pals, had a band in the 80´s called Piglet. And the band´s first gig in 1984 at legendary Stockholm rock club Tre Backarwas also a double bill with no others than Korova Milkbar! So this is gonna be a special night. Doors open at 7 pm. Showtime is 8 pm. Entrance fee is 100 SEK at the door but cheaper via pre-order. Posted on Tuesday, October 2nd, 2012 at 5:17 pm.